What's the future of cash management within the branch? What’s the future of cash management within the branch? Is cash going the way of LaserDiscs, cassette players and pay phones? Many Americans seem to think so. In a 2016 poll from Gallup, 62 percent of respondents said they wouldn't be surprised if society was predominantly cashless at some point in their lifetime. Well, they may not want to hold their breath for a completely cashless future. While it's true that cash isn't as widely used today as in previous years – 24 percent of Americans say they spend all or most of their money in the form of cash, down from 36 percent in 2011 according to a separate Gallup poll – cash isn't going anywhere anytime soon. And this is something that surely resonates with banks and credit unions. So, what does the future hold for cash management among financial institutions? The strategies and systems banks and credit unions employ will largely derive from understanding the big picture in terms of how cash is used in the consumer buying space. According to McKinsey & Company, cash accounts for less than 50 percent of total transaction volume in the US. The same is true for Sweden, Finland, Canada, France, the Netherlands and the United Kingdom. But for the globe as a whole, 90 percent of transactions are cash-based. For example, while credit cards, mobile wallets and contactless payments are popular spending channels, cash still accounts for the primary payment in several industrialized countries. Indeed, McKinsey data illustrates that Austria, Germany and Japan are some of the wealthier world countries where cash remains the preferred channel to buy goods and services. In other words: Banks will always need to maintain their cash services due to its convenience and the global reliance on paper bills. According to the Financial Times, 9.6 percent of gross domestic product globally is physical money, an increase from 8.1 percent in 2011. 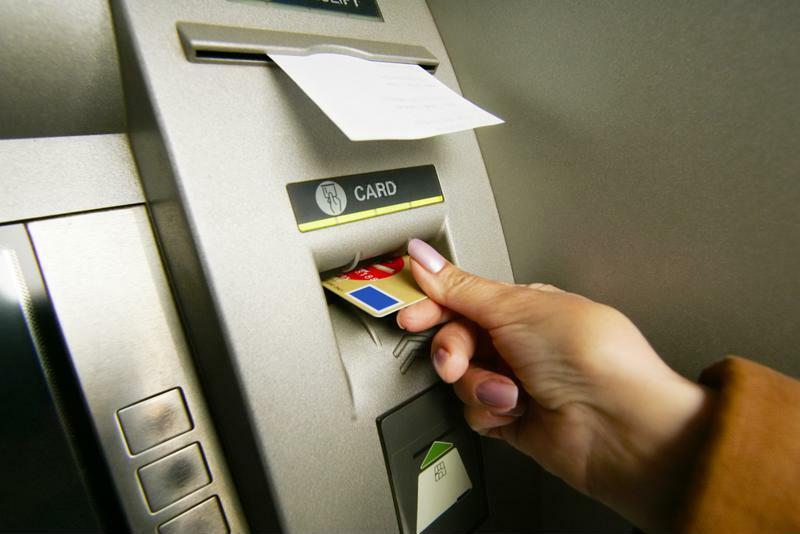 Cards allow customers to dispense cash at most ATMs. That will likely change in light of mobile phone technology. However, with banking customers growing accustomed to quick transactions, the kind that they get from ATMs, technology will figure heavily in how cash is managed. As reported by MarketWatch, banks have paid attention to their customers' preferences, recognizing that they like the speed with which ATMs dispense cash with a few button presses. But in a smart device-saturated society, they've also noticed customers' reliance on mobile phones. Thus, ATMs are getting a makeover by going cardless so people can use ATMs through their handheld technology. And there are numerous improvements and adjustments to the machines themselves, including the introduction of video and concierge assistance. Subsequently, Greg McBride, chief financial analyst at Bankrate, told MarketWatch that cards – not cash – may be what's eventually phased out. "There are a lot of things in life outside of financial services where we're used to carrying cards as a way to identify ourselves," McBride explained. "That's quickly becoming a relic." AI has become so ubiquitous, virtually everyone in America already uses products with these capabilities, a Gallup poll done earlier this year revealed. If nothing else, AI serves as a form of assistance, eliminating repetitive tasks that robotic functionality can easily do. AI and other automation solutions have played a helping role among banks and credit unions, including the use of cash recyclers. Expect AI to continue its expansion in the consumer banking space by taking over repetitive work processes so tellers can focus on more customized services. Chatbots may also be leveraged through AI technologies, according to BizTech. Marc DeCastro research director for IDC Financial Insights, told the online news publication that robots won't replace banking professionals but will enable them to accommodate customers more effectively. "If it can get me something quicker and faster, then, by all means, I am all in favor of it," DeCastro explained. "But if something is complex, then I need to talk to the human." Established in 1984, BranchServ has observed many of the changes over the years in how banks have acclimated to the current environment. Cash as a payment system isn't changing, but how it's managed is already evolving. From recyclers to ATMs to advanced automation, BranchServ has the tools and services that can help you adapt to trends and adjust on an as-needed basis. This is complemented by electronic and physical security expertise, making BranchServ an all-in-one solutions vendor.